We’re less than a week away from Shadow of the Tomb Raider‘s release but if you still need something to hold you over then here’s a brand new trailer that showcases the game’s beautiful environments and its photo mode. 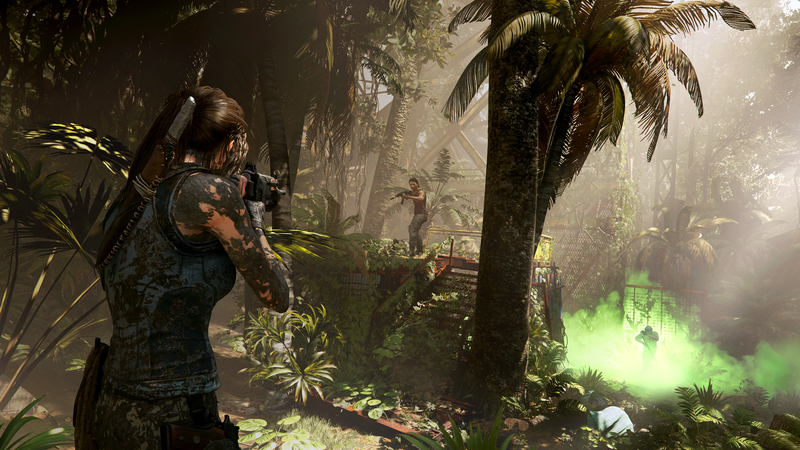 As Lara Croft, players will get to roam and traverse through some “vibrant, varied, and picture-perfect” locations including the streets of Cozumel and the Amazon jungle. Speaking of picture-perfect, the game’s photo mode is loaded with options that guarantee some breathtaking pictures. For those who haven’t played Tomb Raider‘s last two installments, or need a refresher, Eidos Montreal has also released a trailer that goes over the story so far. The video below includes important cutscenes from 2013’s Tomb Raider reboot and 2015’s Rise of the Tomb Raider. If you’re worried about spoilers, we suggest skipping this one. As the conclusion of her origin story, Lara Croft is more capable and driven than ever before in Shadow of the Tomb Raider. She will stop at nothing to save the world from a Maya apocalypse, and in doing so, become the Tomb Raider she is destined to be. Shadow of the Tomb Raider will release on September 14, 2018 for the PlayStation 4, Xbox One, and PC.